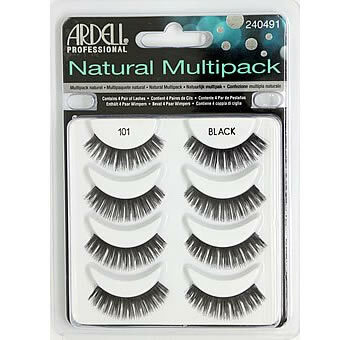 Ardell Fashion lashes #101 Demi are made from 100% sterilized human hair. These natural looking false eyelashes have a full blunt cut. These full, luscious style lashes are available in black and brown. Comparable to style #103 and Bullseye AUDREY & BILLIE lashes. For additional product details & how to apply information, please click HERE. 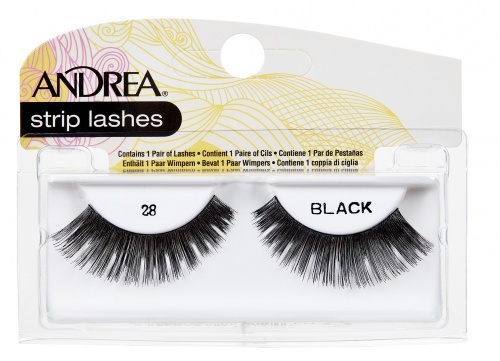 Other simliar styles include style Ardell Fashion Lashes #107, Andrea Modlash #28, Modlash #52, and Bullseye BILLIE lashes. 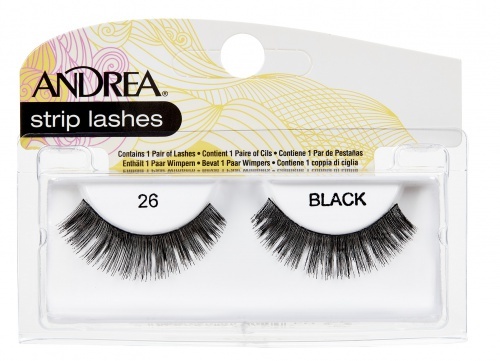 Ardell False eyelash tip: If you've never used false strip lashes before, it is going to take practice. But, with practice, it becomes a cinch. The result of beautifully accentuated eyes are worth it! Note new packaging Fashion Lashes #101 Demi lashes may not say the word 'DEMI' on the tray. 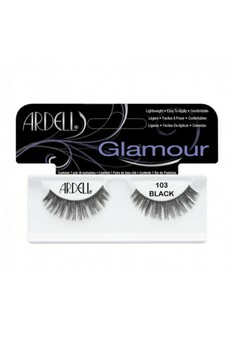 These lashes also known as Ardell Glamour #101 or Natural #101 Lashes. The different packagings contain the exact same lashes with the same manufacturer item number. They contain different cardboard insert (glamour vs natural) for marketing reasons. My first pair of eyelashes and still in perfect shape after so many applications. Totally adore them. Get lots of good compliments on my eyes wearing these as they accentuate eyes so well and makes your eyes pop. Easy to wear and can be used whole day long without any irritation. Once I remove them, I clean them and keep them in their original box so that they retain their shape. I've been wearing these for years! Love them! I have dark brown hair and like the brown lashes best as their dark brown and look very natural. I don't wear eyeliner on the top as the eyelash strip as they give that effect, and I use Clinique Kohl "Black Coffee" eyeliner on my bottom lashes and wear Loreal Black/Brown waterproof mascara on my bottom lashes. So easy to apply! I apply a thin bead of DUO clear eyelash adhesive along the eyelash strip. Apply to eyelid next to natural lash line using (Trim Brand) square tip tweezers that I touch down in the middle first then the inner and outer corners of the eyelash strip. Lovely and very natural! 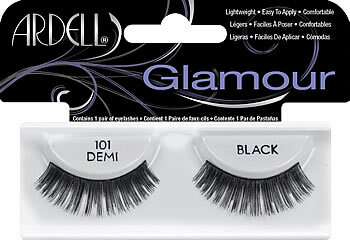 I have had trouble with finding the brown 101 Demi Eyelashes lately. Many stores will only carry the black, which I don't like. Please keep carrying these! Thanks! The brown in this style is perfect for redheads, I love the actual lashes themselves, it's just hard to find a glue that won't show on them. I'll probably have to try a dark glue instead of the clear. I'm really lazy to apply mascara now esp after trying these lashes! I save alot of time everyday now. The length of these lashes fits my eyes perfectly. I do have to trim the inner side of the band a little so that they hold up better as I have teary eyes.